The first time I was asked to write a letter of reference, I wasn’t sure where to begin. Share the candidate’s qualifications (she “is a deacon in the church”). Share your recommendation for the candidate (“welcome her” and “help her”). 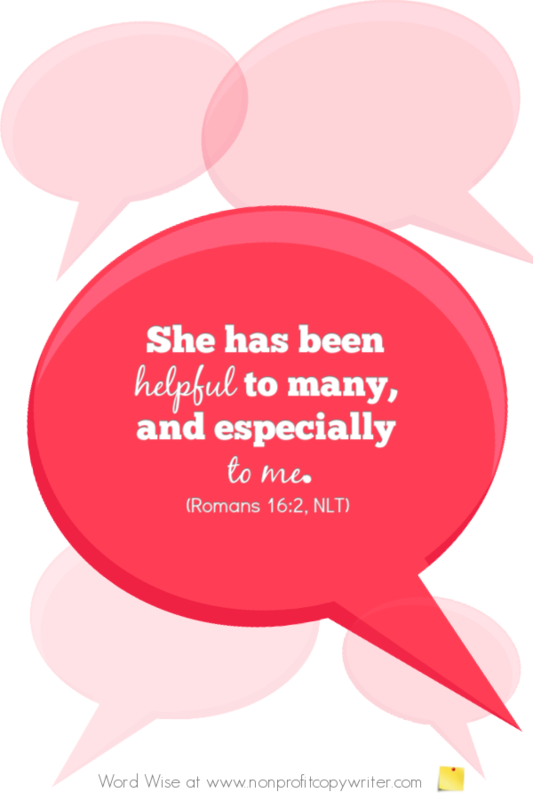 Share your personal testimonial about the candidate (“she is worthy of honor … she has been helpful to many, especially to me”). Your firsthand experience oozes authenticity. That’s why of the three elements you include when you write a letter of reference, your personal testimonial carries the most weight. Make sure you explain what the candidate has meant to you personally. Paul did. Just in case his introduction did not give Phoebe enough credibility in the eyes of the Romans, Paul included a testimonial on her behalf. Your personal testimonial carries weight. Allow me to clearly see others’ strengths. Let me verbalize what is excellent and worthy of praise as I write a letter of reference. The Opt In: Why Do Readers Choose You?